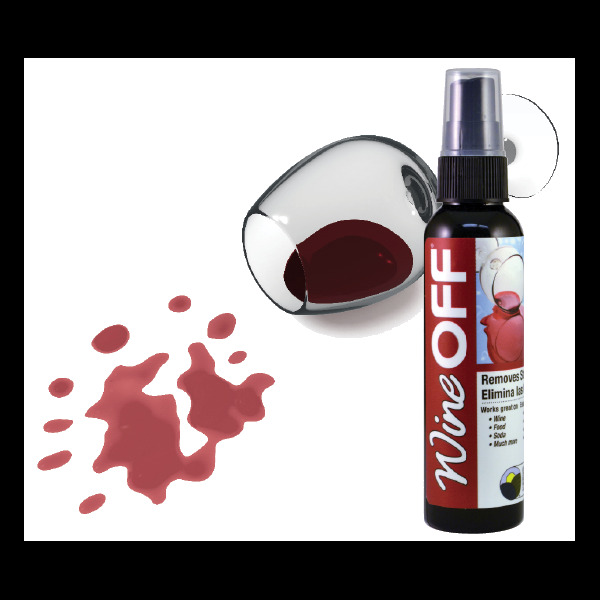 Wine Off Stain Remover by Bio-Pro Research is designed to break down wine, food and beverage stains on soft and hard surfaces (carpets, linen, clothing etc) using biodegradable ingredients that are nature-based and non-toxic. Available in two sizes. 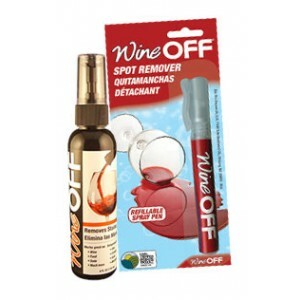 Wine Off Stain Remover does not contain alcohol, peroxide or bleaching agents so it is safe to use around people and pets. 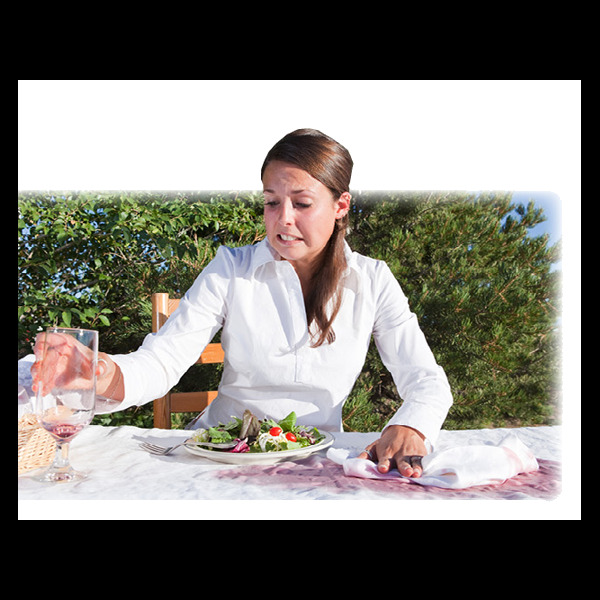 It is also effective on food residue and other organic stains, particularly those that are red-based. 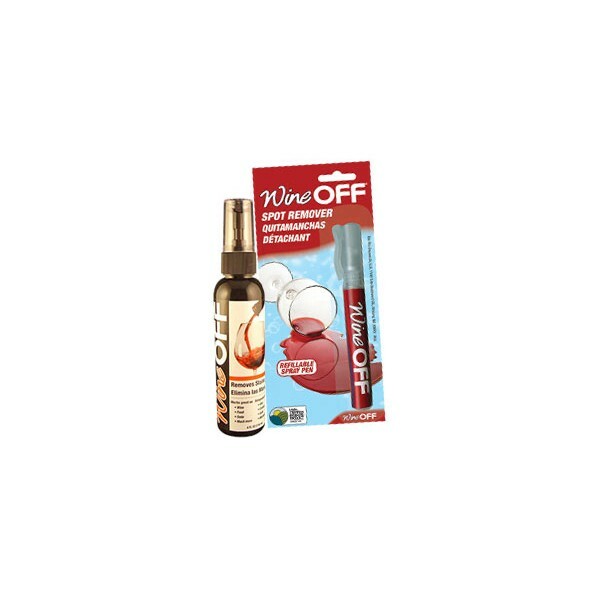 Click here to view tips and advice for using Wine Off.